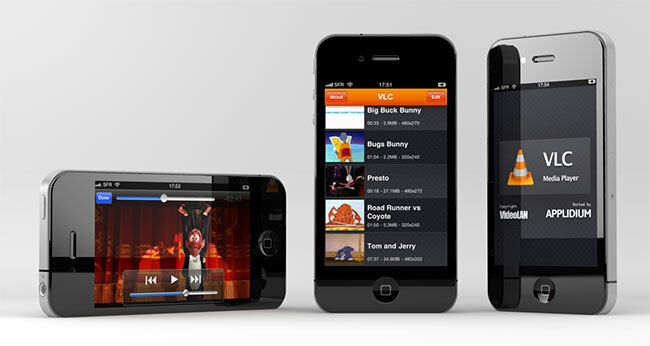 About a month ago, Applidium submitted their app VLC for iPad to the App Store, which subsequently gained approval and enabled iPad owners to stream a vast array of media files in their collections. Playback should be smoother than the previous version. Indeed, we’ve enabled low-level assembly optimizations to use the ARMv7 core of the Apple A4 processor as efficiently as possible. We’re supporting a lot more video extensions. Also, as many of you requested, it’s also now possible to open attachments from Mail or Safari (or any other applications actually) in VLC! It’s still not possible to use the hardware video decoder, so unfortunately in most cases 720p video still won’t play smoothly. Unfortunately, we couldn’t support older iPhones and iPods. You’ll need either an iPhone 3GS or an iPhone 4 (or a same-generation iPod). The reason is actually pretty simple : based on our tests, the older iPhones (3G and Edge) don’t have enough power to properly decode most movies. Good news for iPhone and iPod Touch owners, we will update as soon as the app becomes available.